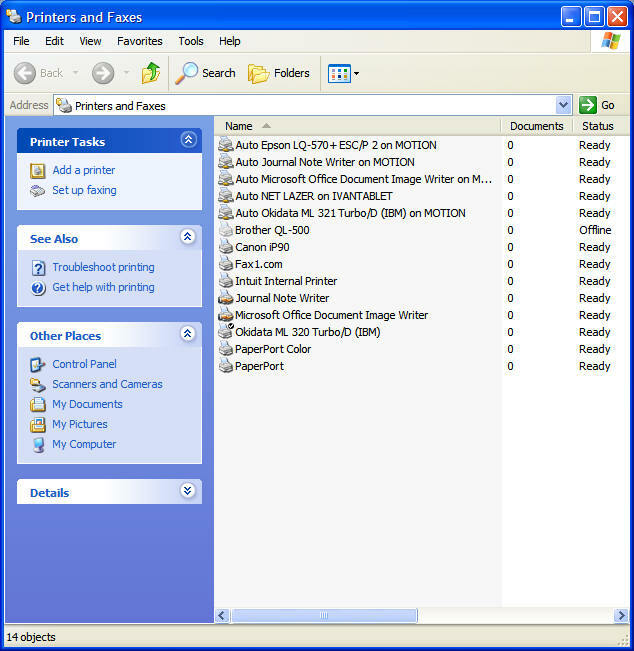 Some printer manufacturers have issued new drivers that have less flexibility for paper size, for example the Driver for the Epson LQ 570+ will work for both the Epson LQ570+ and the Epson LQ 570e and the Epson LQ1070+ works better than the 2080 for the wide carriage printer. 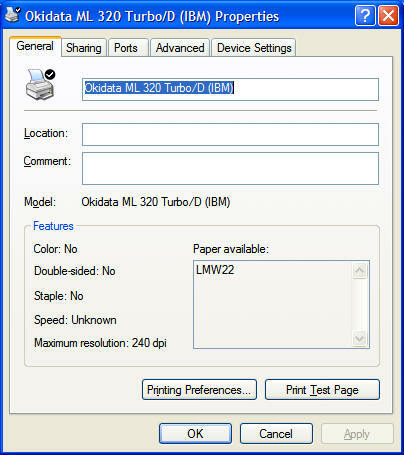 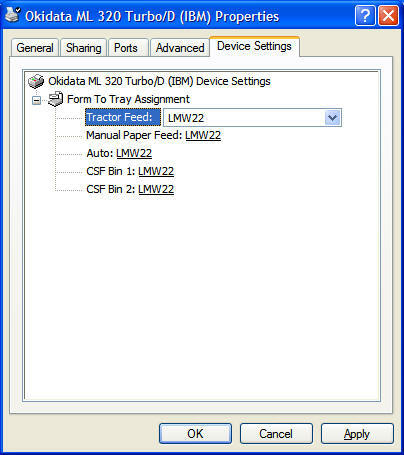 Okidata ML320 TURBO is also used a lot. 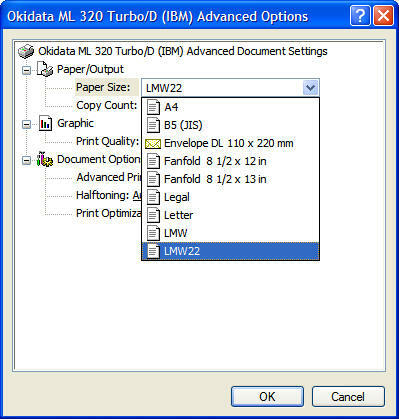 If your form is longer than 22 inches, you can install the printer driver of a IBM Proprinter III, (make sure the printer is in the IBM ppr emulation mode), Make the width 8.0 in and the length as long as your longest form. 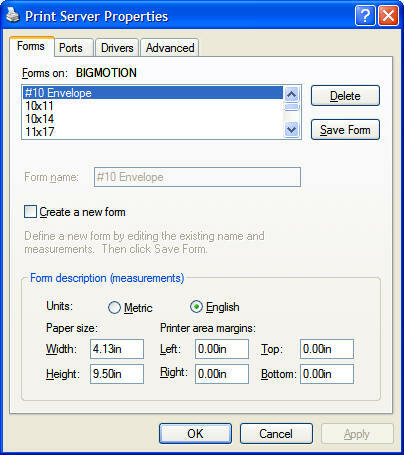 After you have selected your form size click the Save Form Button. 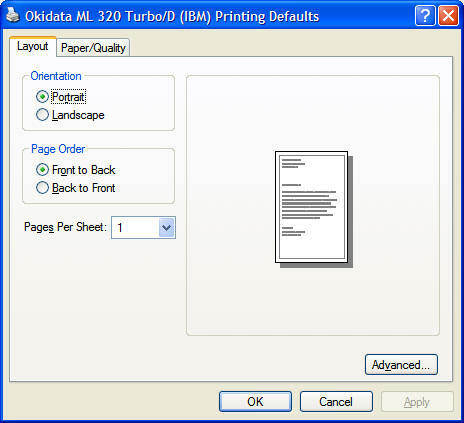 After clicking OK your printer should be able to print the long contracts as well as the short ones. 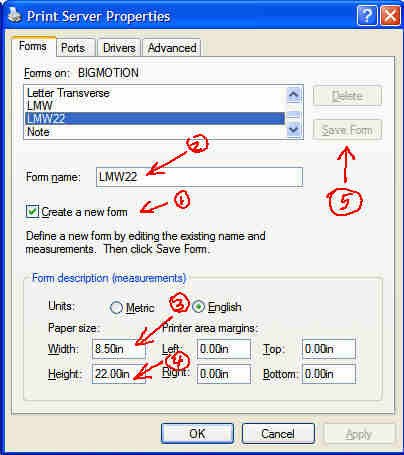 you may have to repeat these steps again.